The one thing that is constantly rising is the price of land and real estate. It is very difficult to find a big home with multiple rooms within budget. Consequently, it gets difficult to accommodate friends, extended family, relatives or guests at one’s home. There often arises a need to book a guest house nearby to send guests to stay there overnight. However, there is an easy alternative to guest houses. The solution is sofa beds. Sofa beds could be used at home to provide for a comfortable resting area for the guests which is well within the house. Below are some of the features of a sofa bed that would help you to figure out what you need to buy for your home. The Style – Sofa beds could be of different kinds depending on the style in which it has been made. Futon is usually made up of a single cushion over a frame made up of either wood or some metal. They are very easy to store as they can be folded. They are affordable and could be identified for daily use too. Sleeper Chairs are best when there aren’t too many guests at a time at home. These could open up into twin-size bed and are available in many styles. However, sleeper chairs could be a space consuming. Pull-out Couches are multi-purpose pieces of furniture as these serve as giant-size bed at times and giant-size sofa at other times. The Make of the Mattress – After finalizing on the style of sofa bed, next up is the material used to make the mattress. The most common are the ones with cotton or polyester or both. These are generally used in futons. Another popular choice in mattress is the one with foam. Quality of foam plays an important role, hence, it is important to choose the right type of foam. High density foams are soft whereas low density foams are much more firm. Elite types of foams such as Memory foam or gel foam are a class apart. Mattresses are available with inner springs. However, these could be noisy and should be avoided from public use. The air-over-coil mattresses are the new concept with innerspring mattress on the bottom and inflatable air bed on top. These are very thick and the most comfortable. Mechanisms – Sofa beds vary according to their opening mechanisms. They could be Click-Clacks that open with a click, or Pull-out that is pulled out mechanically, or could be the most technically advanced Power Open ones that open at the push of a button. Cost – The price of sofa beds could vary from $800 to $2,500 or more. However, there are some that like futons that are priced as low as at $200. 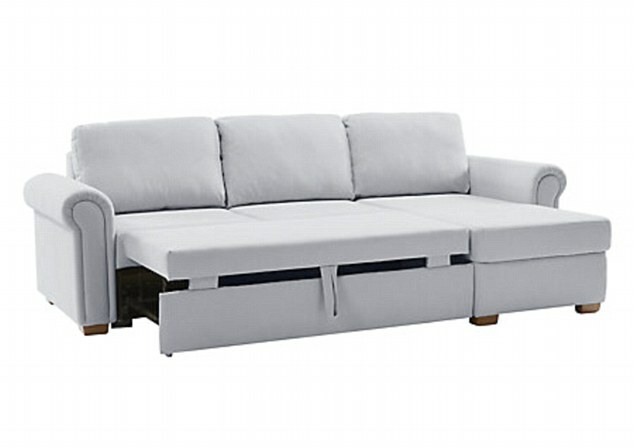 Price depends on the style of the sofa bed, the quality of the mattress and the in-built mechanisms. Tips To Help You To Choose – Choose a sofa bed that is thick. The ones that are at least 5 inches thick are good. Another important thing is to keep in mind the budget as sofa beds are not for daily use. Maintain It Well – sofa beds are generally easy maintenance. Use vacuums to clean the surface and open it up to clean the interiors. Rotate it every six months to expose it to even wear out. Watch your requirements and choose your sofa bed well.